In this blog, we have already told you about some of the characteristics that define Brazilian people. Happiness, an easy-going way of life, spontaneity, expressing their love for nature, their passion for music and the respect for their traditions. 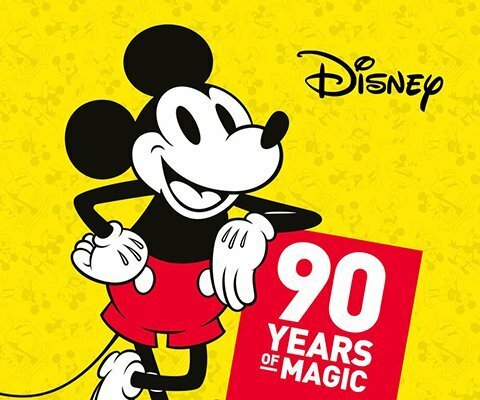 These values are in a Brazilian’s DNA, but there is one aspect we have never talked about which is also very present in their culture: their belief in magic and the supernatural. 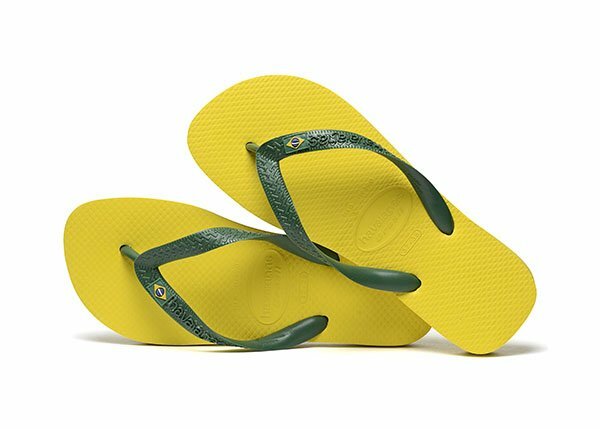 When Brazil qualified for the 1998 World Cup, Havaianas decided to create a special model of its famous flip-flops to bring the country’s team some good luck. 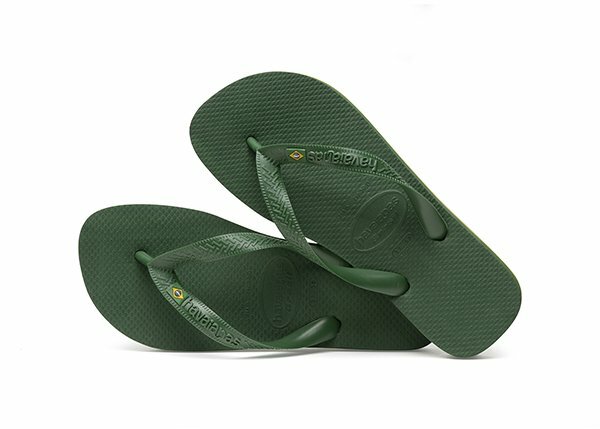 The model was named Havaianas Brasil. Apart from the usual characteristics it included a sole made of three layers of rubber featuring the colours of the flag: yellow, green and blue. In addition to that, it featured a little Brazilian flag on the strap. 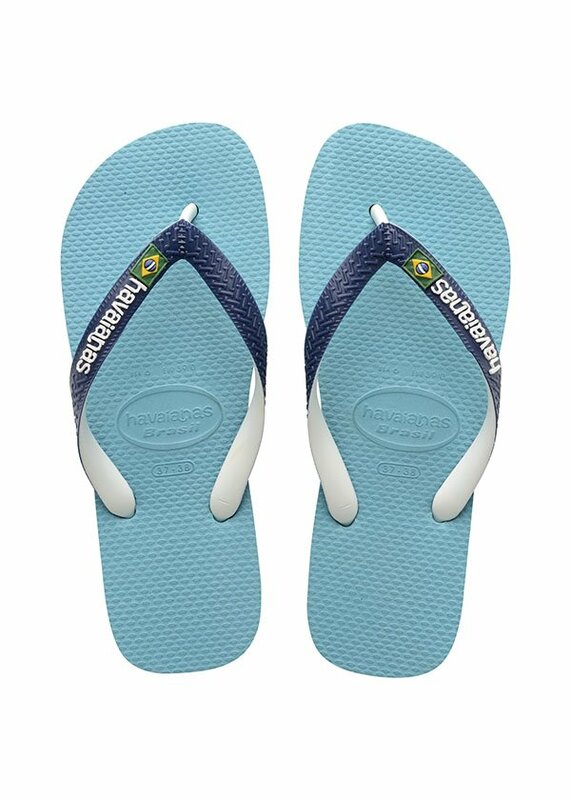 That lucky charm worked wonders as Brazil made it all the way to the final. 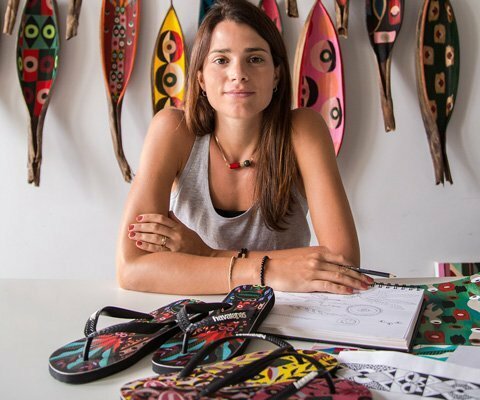 What’s more, Havaianas Brasil has become a worldwide icon as well as the best representative of the country to the world. Over the years, the model continued to evolve to include some variations. 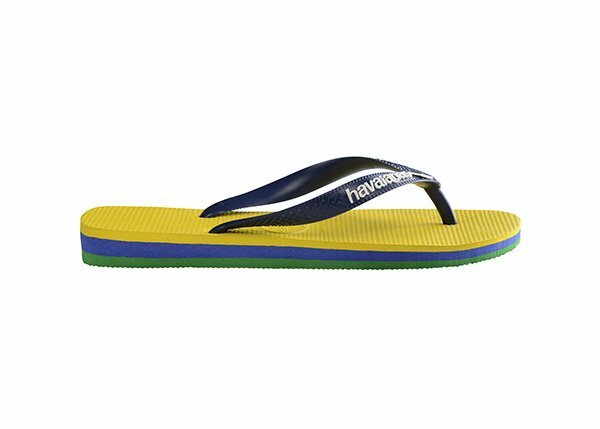 For instance, the Havaianas Brasil Mix model is an explosion of colours where the sole, the inner and outer strap each have their own different colour, while the rubber Brazilian flag continues to feature on the strap. 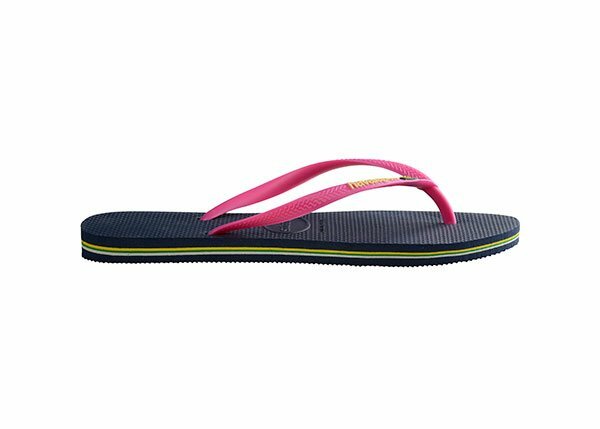 Other variations of the Havaianas Brasil Logo model break away from the single-toned flip-flop to feature straps and the logo in a different colour, making the model even more vibrant and fun. In 2018 the World Cup is back and running from mid-June to mid-July. 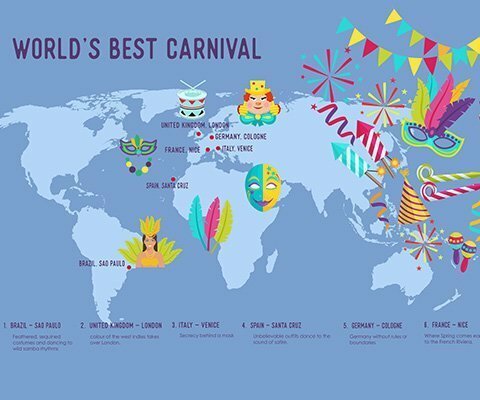 Russia hosts one of the world’s most important sporting events and, of course, Brazil is amongst the favourites to win it. For various reasons: firstly, because it’s the country that has won it most often (five times in total), and it is also the only country to have taken part in every single World Cup to date. 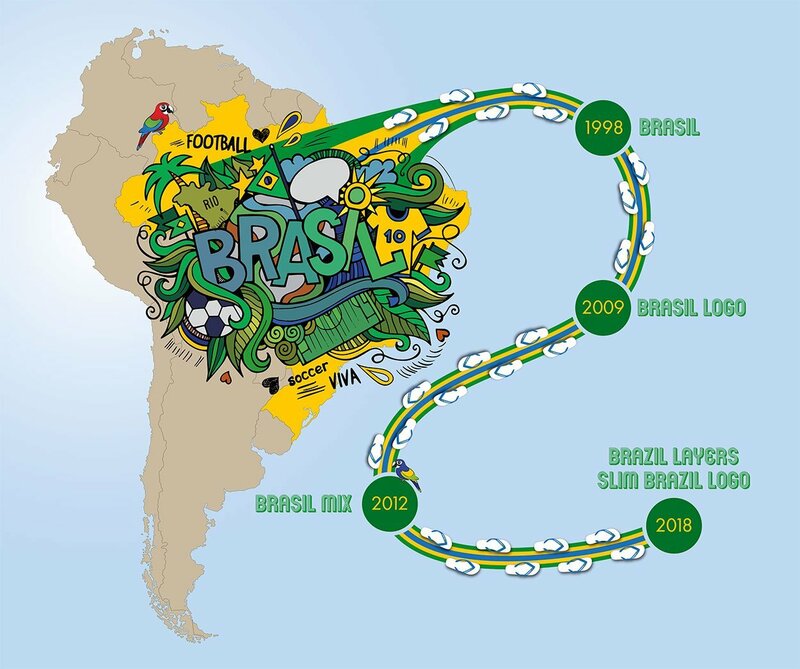 To celebrate the World Cup and the model’s 20th anniversary Havaianas is launching the Brasil Layers model in which you find all the original characteristics but a highlighted version of them. 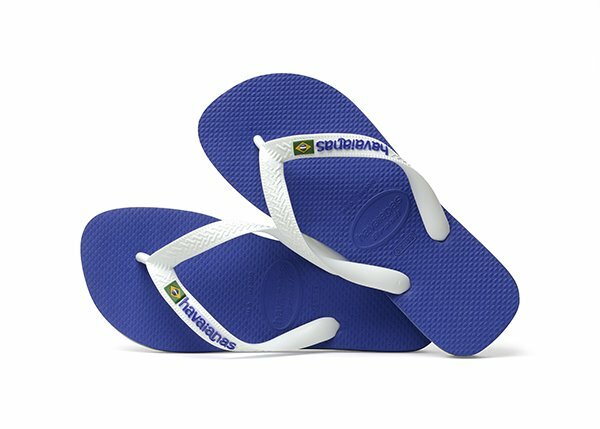 The sole layers are thicker, making the Brazil flag colours more obvious and the sole more colourful. 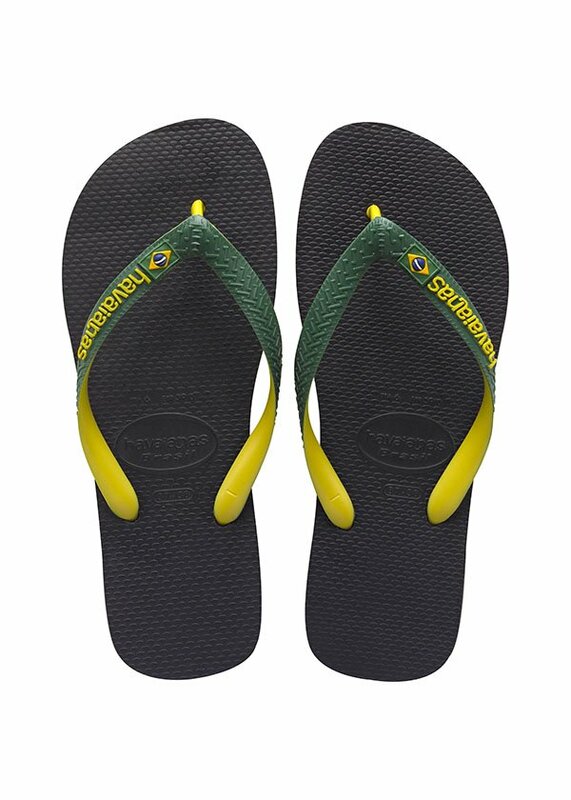 What’s more, the logo and Brazilian flag are no longer made of rubber but are now pins. 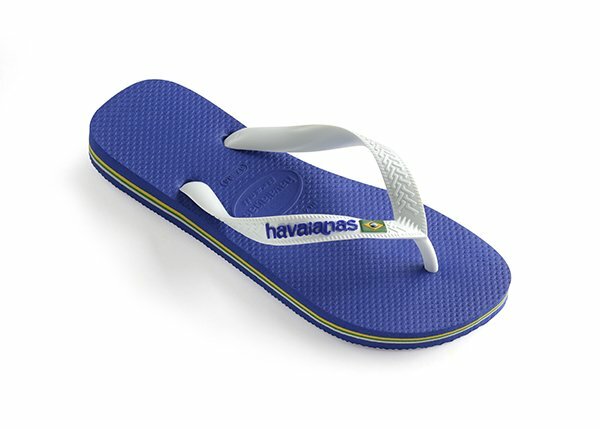 And let’s not forget the ladies’ version of this model: Havaianas Slim Brasil Logo. 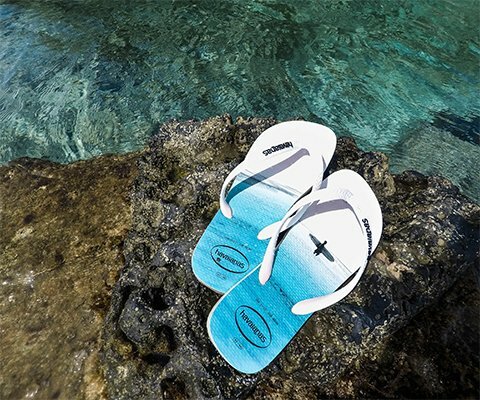 We’ll have to wait until 15th July to find out if Brazil wins its sixth World Cup, but, in the meantime, Havaianas has done its bit to bring luck to its team.